As most of the readers know, in SimplyNoRisk we try to reduce pain. When fund managers compete to see who has a greater yield every year, we observe it from a healthy distance. That is not our target, but to CONSTANTLY create a sustainable portfolio that never suffers a terrible year. 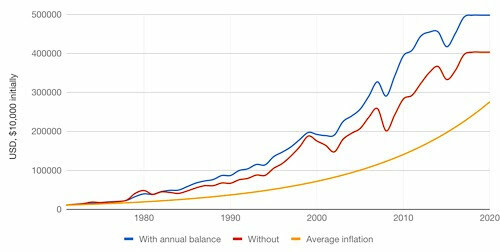 As we show on the next chart, we have beaten REAL inflation (we use double the official one) and the drawbacks have never been awful. Last year, the SNR portfolio made a sound 9.2%. The idea of this portfolio, as explained in our book, is based on Harry Browne’s permanent portfolio, but with a more realistic approach. As you can imagine, we are very happy with the results.